“It was a dark and stormy night”. That’s the beginning to one of my favorite books of all time. I first read A Wrinkle in Time when I was in the 5th grade, and I have read it many times ever since. I used it in my classroom, and in my homeschool. So I was really excited to find out that I was going to get to review this unit for Moving Beyond the Page. It was so much fun! These units are designed for ages 9-11, but even though my son is 12 they suited him perfectly. I was looking forward to sharing the story of Meg, Calvin, and Charles Wallace with my 6th grade son. So when we got our stuff, we logged in and started. The literature unit is internet based. When you log in, you gain access to PDF’s with worksheets, questions, and activity pages. The How to Use Moving Beyond the Page section includes a helpful video and explains how the concepts in each unit are connected. For the Wrinkle in Time unit, we used a Space unit study that coordinated with the story very well. I really like the way the student activities and worksheets are set up. There is a good mix of literature concepts, vocabulary, and even grammar. When you login, there is a menu at the top for all of the PDF files, making it easy for you to download and print whatever you need. My son is an independent reader, so I had him go through the lessons himself. Usually, I would preview each lesson with the parent overview option set to on. This gives you the answers to the questions and some teaching suggestions. My son was able to read the lessons easily. They begin with an intro and some ideas to think about that apply to each chapter. He was then assigned to read the chapter, and answer some questions. You can print the questions out if you want. This was followed by some activities. In some cases, I printed out a worksheet for him to do. These were good graphic organizers that focused on story elements, characterization, vocabulary, etc. The directions for all of the activities are very clear, and I really appreciated the vocabulary work. My son struggles in this area, and the practice of breaking words down into their individual parts is an important skill for him to learn. 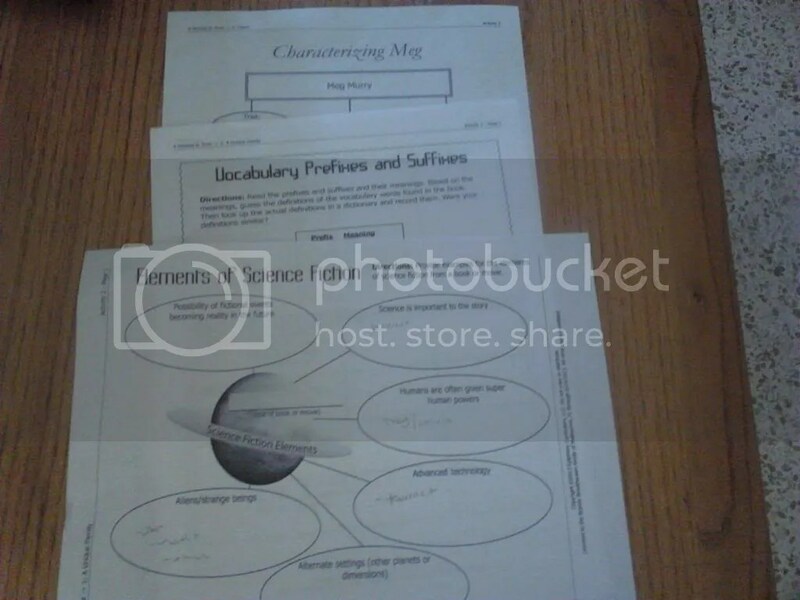 The lessons include a weekly spelling worksheet, and a suggestion for how to do spelling activities. The units are designed to be completed in around three weeks. I will be honest, we went a little slower. While my son is reading independently, he still does not enjoy reading, so I tend to break things down into smaller chunks for him. The unit ends with a fun final project. In this case, it was using what my son had learned to create his own science fiction story. 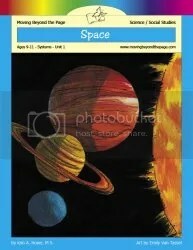 The Space science unit can be used completely on its own, but it makes a great tie in for A Wrinkle in Time. For the science unit, we got a hard copy. It is set up in the same way as the online literature unit. It includes a list of necessary materials, and came with the book Leap Into Space. I have to say, the bright, colorful book was great. It didn’t have too much text on one page, and is loaded with information and experiments. Since he was already familiar with the setup for the units, it was easy for my son to dive into these lessons. The Getting Started section is written directly to the student, and gives them some basic information about what they are going to be studying. There is a reading assignment followed by questions and activities. Many of the activities were easy to complete, with stuff you already have lying around the house. We made an ellipse with some cardboard, thumbtacks, a ruler, and some string. The activities are broken into days, and some have multiple options for ways to complete the projects. These activities were a lot of fun for my hands on boy!The final project was a “space tour” that included taking a quiz, and writing a tour guide script for each planet. We had a lot of fun with this, and my son even used his legos and other toys to set up his own “tour site”. I think either of these units would be a great addition to your homeschool, but if you really want your child to get into it, do them concurrently. 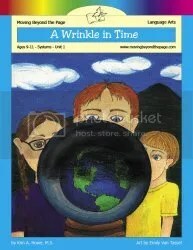 If you have a child that doesn’t enjoy reading so much, but loves science, studying the Space unit with A Wrinkle in Time may help them get hooked on the story. You could also read the book aloud to your child, and just have them complete the activities on their own if you wanted to. A hard copy of the Wrinkle in Time unit costs $23.98 and includes the guide and a copy of the novel. The online version costs $19.92 and gives you online access to the guide and you still receive a copy of the book. Both the online and hard copy versions include parent overviews with notes and answers. The Space unit costs $29.98 for the hard copy, which includes the guide and the Leap into Space book, and $25.92 for the online package. If you enjoy unit studies, I would highly suggest you check these out. They are well worth the cost! This is the meal my hubby requested for Father’s Day this year. 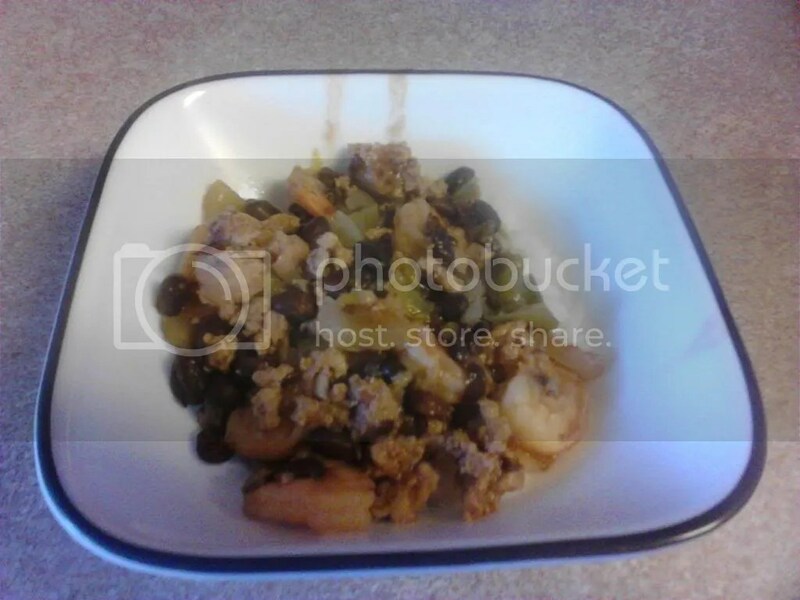 It was a recipe my friend gave me for sausage and peppers, and I modified it just a bit to make it my own. 1. Chop the sausage into small pieces and brown in a skillet. 2. Drain the meat and place it in the crock pot. 3. Add the chopped vegetables. 4. Add the beans and seasonings. 5. Pour in the chicken broth. 6. Cook for 8 hours on low. 7. Add the shrimp 30 minutes before cooking time is over. 8. Serve with white rice. Yum 🙂 This is a really easy and delicious dinner. The first time I made it, my husband happened to have a friend hanging out in the garage. He tried some and immediately asked me to send his wife the recipe! For a long time when my kids were little, Finding Nemo was their favorite movie. We watched it over and over and over again. 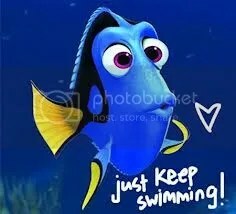 Dory was always one of my favorite characters, but now, I have discovered I have a new affinity for her and her motto of “just keep swimming”. It’s what I keep telling myself as we move forward from here. We have some stuff going on that I find a little scary, and some days it’s all I can do to just keep moving. That voice in my head keeps whispering these horrible “what-ifs” to me, that threaten to stop me in my tracks. Most days, I feel like I am treading water, just trying to keep myself from drowning in all my scary thoughts. We have an appointment with a specialist coming up later this month. We are hoping they will be able to give us more info about my husband’s condition. He still struggles with chest pain and shortness of breath. We don’t really know why, because it shouldn’t be that way, and it’s really frustrating. Going to see the specialist is likely to cost us a LOT of money. There is no doctor in our area familiar with pulmonary hypertension, so we have to go out of our county for the appointment. We are trying to negotiate with our insurance company to get them to cover it anyway, but so far, no luck. But what else can we do? I look at my husband and realize how hard it will be for him to continue on the way things are going. He can’t even run a few miles without getting winded, and he used to run nine miles at a time! What price would you pay to get an accurate diagnosis and maybe some treatment? What’s another bill at this point anyway? We just want some answers to our questions….well, kind of. I am always looking for new ways to cook chicken in my house. It is not one of my hubby’s favorite meats, but it is more cost efficient than other meats! 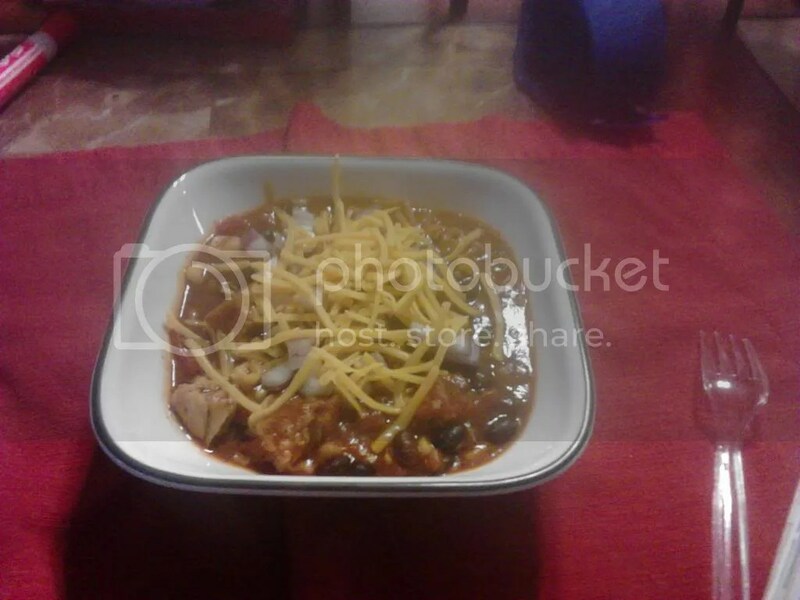 This recipe for chicken chili is delicious enough for even him! 1. If using regular chicken breast, cook thoroughly and slice into strips. If using pre-cooked chicken, heat it up in the microwave. 2. Add all ingredients to a large pot and cook over medium heat for 20 minutes. 3. Serve topped with chopped red onion, shredded cheddar cheese, and sour cream if desired. How easy is that? I keep a package of pre-cooked chicken in the freezer just for busy nights so I can make this in a pinch. Give it a try and let me know if you like it. I have always loved to read. Growing up as on only child on a farm, books were my escape and my best friend. It all started with my love of Nancy Drew! (remember her? 🙂 ) Reading is still one of my favorite pasttimes, and I love to read with my kids! My oldest son is very much like me. 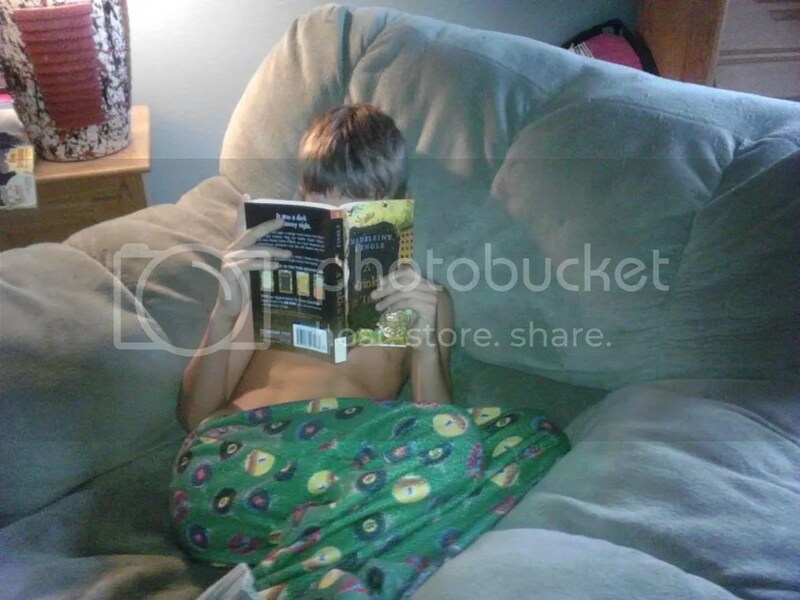 He’s been reading since he was little, and easily gets lost in books. He gets really bored when he has nothing to read, so I don’t have to push to get him to do it. My youngest, well, reading is not his favorite thing. It’s not that he can’t read, its just not on the top of his priority list. He likes being read to, but finding books that hold his interest so he will finish them, is difficult. During the school year we have required reading each day. I choose books that I want my kids to read, and they either read them on their own, or we read them together. In the summer, I relax things a bit. My kids are still required to read on a daily basis, but I allow them to choose their own books. We visit the library a LOT. These are some of the books my kids are reading this summer. 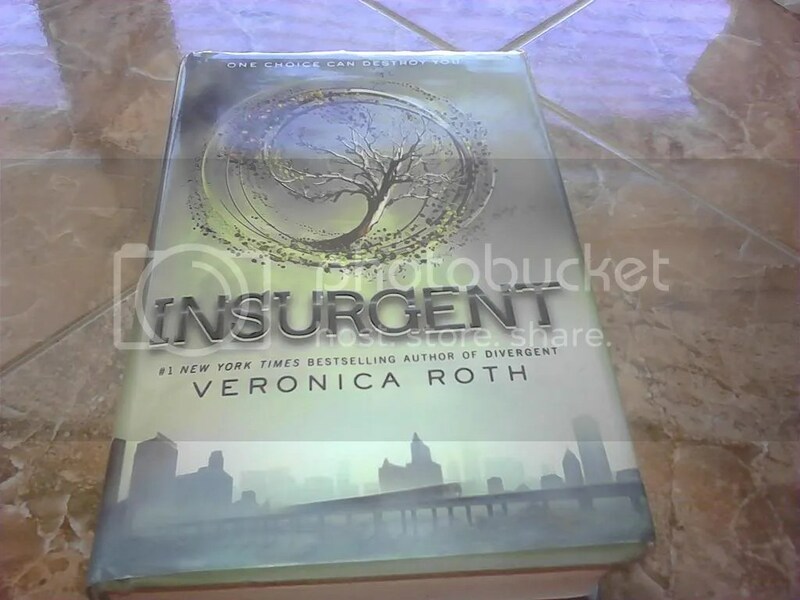 My oldest son (a rising sophomore) was introduced to the Divergent series by a friend from our homeschool group. He has read the first two books so far and is eagerly looking forward to more. He is also a fan of the Percy Jackson series, and mysteries/legal dramas as well (this is the boy who wants to work for the FBI when he grows up). We both read Defending Jacob a few months ago, and really liked that as well. The next book on his list is The Great Gatsby. This was on my list of “must-reads” for high school, but after seeing all the movie previews, he asked to read the book. (I have a rule at my house that when a movie is made from a classic novel, you must read the novel before you see the movie!). From the waiting list at the library, I’m guessing a lot of kids have suddenly developed an interest in Gatsby, or else a lot of teachers assigned it for summer reading, because he was number 20 when he signed up for it. The book should be here next week. When given the chance to choose his own books, my youngest enjoys non-fiction. 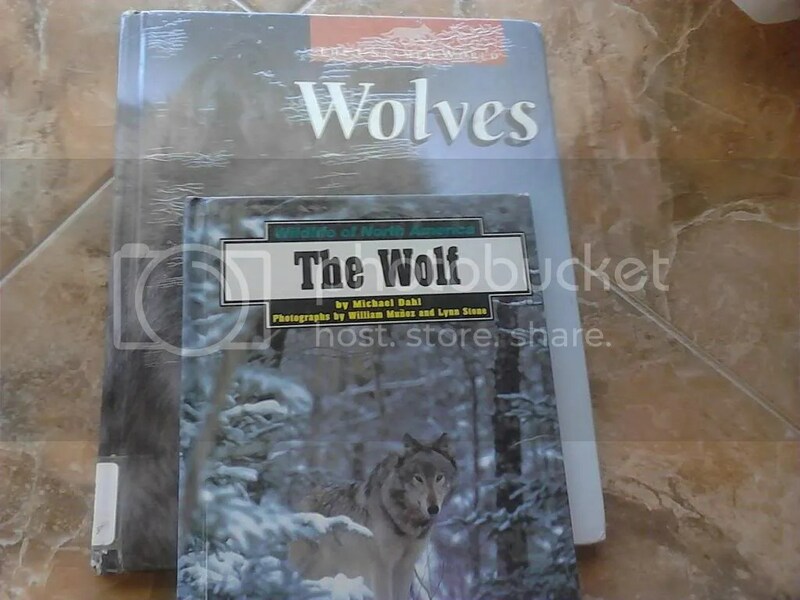 He has developed a current interest in wolves, so these are some of the books he checked out during our library visit. In the past, he has also read books on Bigfoot, Legos, Star Wars, baseball, and the Loch Ness Monster. This boy has a wide range of interests that are constantly changing, and he usually just chooses a book based on whatever he is into at the moment. He is also really really into comics (just like his dad was). 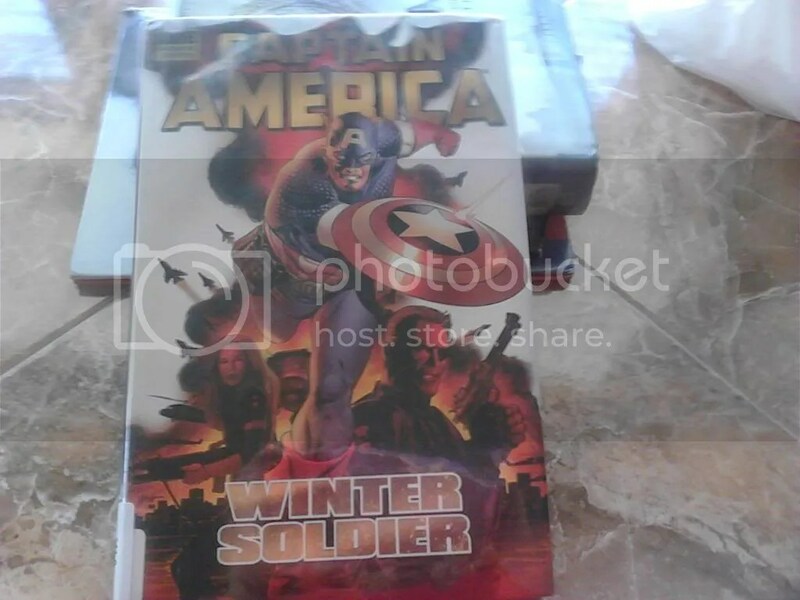 He has an extensive collection that my husband preserved from his boyhood days, and his favorite character is Captain America. So, comics are on his summer reading list. While they aren’t my first choice, I figure, at least he’s reading something he enjoys. I don’t want to make reading a chore for him all the time, because then he just won’t do it at all. There is nothing wrong with strictly reading for pleasure. I myself have quite a large collection of Calvin and Hobbes comics, because they were one of my favorites growing up. I still read out loud to my kids before bed too. My oldest son and I are on the third book of the Lord of the Rings series, while my youngest and I are finishing up the third Harry Potter book. When we go on vacation next month I do plan on telling my youngest to choose one chapter book to bring with him, but I will let him pick it out. I have not been able to motivate myself to do much of anything lately. I am thankful school is over for this year because I just don’t have the energy to do it. 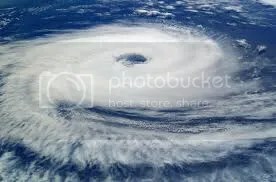 I feel like I am in a washing machine, or the middle of a hurricane where everything is upside down and topsy turvy. Last month, my extremely athletic and fit husband was sent home from work (at the fire station) to the hospital with chest pain. He was there for two days, going through numerous tests. At first I told myself it must just be stress. The last few years have been tough, and we are always under financial strain. Everything will be fine…I said in my head. Well, he came home, but continued to have pain, and one of the tests at the hospital revealed something troubling. It suggested he might have something called “pulmonary hypertension”. What is that? I asked myself the same thing, and naturally I looked it up online. I shouldn’t have done that. Each thing I read about this illness got progressively worse. There is no cure for pulmonary hypertension….there are few treatments, and not all of them work for everyone. Average life expectancy is 5-7 years….wow…7 years? Our kids are only 15 and 12…we’re young…we’re supposed to have the rest of our lives together…to watch our kids graduate and get married…and have kids…and live life together, just the two of us. How can this happen? With everything we have already been through…isn’t that enough?? I am not prepared for this…my brain cannot comprehend it. I just can’t accept that this may actually be happening right now. 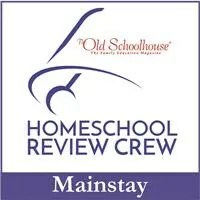 So, other stuff (homeschool, blog, house etc.) has gotten put on the backburner while I (somewhat selfishly), mentally shut down. Because my brain just keeps spinning and spinning, and none of what I am thinking is good. I just want to shut it off. And I can’t…because life is still going on all around me. I have responsibilities to meet, and those don’t stop just because things aren’t going right in my life. So now here I am…trying to be functional, and reminding myself just to breathe. He had a heart cath, and it still indicates high pulmonary pressure. We are seeking a second opinion to see if we can get more information. We are trying to figure out where this came from, as there is no history of heart problems in his family at all, and with work he gets a complete physical every year, and there has never been an indication of a problem before. I have racked my brain asking why and come to the conclusion that there really is no satisfactory answer. My normal has changed completely. If you have read my blog before, you know how much I HATE uncertainty. I am a routine loving woman! I know there are no guarantees in life, and it hasn’t been an easy road for sure, but health was something we could always count on. And now here we are…and honestly, I have no idea what to do. Christianity Cove provides all kinds of Sunday School materials for kids. They offer games, crafts, activities, and lessons. For this review, I got to check out two of their products with my 6th grade son. Daily Dilemmas: 26 Sticky Situations for Kids is a daily devotional that uses real life situations to get kids to apply biblical thinking. Designed for children ages 6-12, the devotions are short lessons that focus on the difficult situations kids might face every day. Some of the topics include gossip, bullying, shyness, cheating, and fear. Each devotion begins with a description of the scenario, followed by related scriptures and choices of a possible response. Kids read each devotion on their own and come up with their solution, which is then discussed with the parent. A special reflections section provides ideas for parents on how to approach each possible solution. Each lesson is designed to take less than 10 minutes to complete. My son is 12, which is the upper end of the age range for this product, and I wasn’t sure at first if he thought it would be too “silly”. However, I think the topics were well suited to his age. In fact, I’m not sure children ages 6-7 would necessarily be able to relate to some of the topics just yet. The devotions work with any translation of the Bible, and my son would usually grab whichever one was closest to him to begin. I had my son read and complete the devotion on his own, and then we would discuss the situation and his answer. If you have a younger child, or more than one child, you could easily read the devotion out loud and discuss the possible answers as a group. I like how customizable these devotions are, because it doesn’t take much to work them into your schooling. The topics were very pertinent for the challenges kids face in dealing with other children, and I felt they gave us a nice starting point for conversation. The downloadable e-book costs $29, which I think is reasonable. With 26 devotions, you get enough material for one month if you use it daily, but you could certainly space it out more if you wanted to. The Divine Dozen: 12 Parables of Jesus Every Child Should Know is the second product we got to sample from Christianity Cove. While there is no specific age range listed for this product, I would say it has about the same range as the Daily Dilemmas. I used this product with my 6th grade son as well, although with less success. The lessons themselves are great. They are well thought out and designed and the structure and activities provide a clear illustration of each parable for kids. Many children will likely recognize the familiar stories of the Good Samaritan, the faithful servant, and the lost sheep. Each lesson lists the materials needed to teach the lesson and the directions for the activities are detailed and easy to follow. The main problem we had with this is that I felt it would be a lot more fun with more than one child. The lessons are designed for Sunday School, and if you are working with several children, they will be very easy for you to adapt. However, my oldest is in high school and he did not participate in the activities, and with just my son and I, a lot of them just didn’t work. Don’t get me wrong, I think the product is sound, and the lessons can be used for a homeschool, I just think it will be easier if you were to do this with a small group of kids. The bonus is, I could see using this with kids of multiple elementary ages, allowing each child to participate as much as they are able, so if you are teaching a few children in grades K-6, this Divine Dozen will likely work for you. The download of the Divine Dozen costs $24.